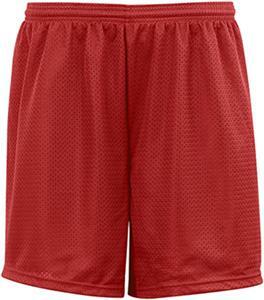 Badger Sport C2 Youth Mesh Short. 100% polyester mesh with solid tricot liner. 1.5" covered elastic waistband and drawcord. 6" inseam. Waist Relaxed 10" 11" 12"